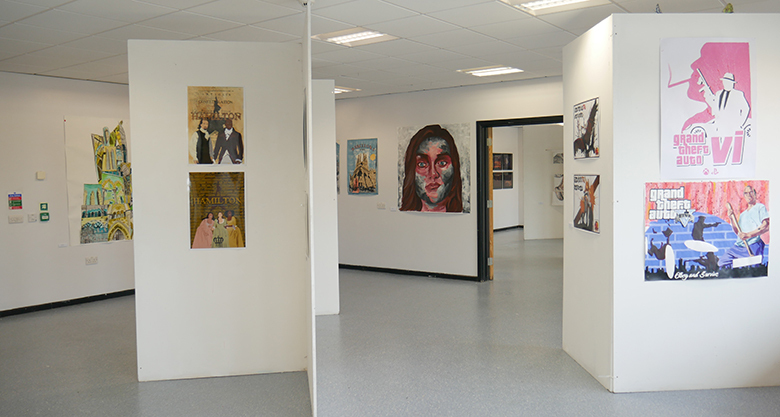 Visual Arts students at The Sixth Form College, Solihull received awards at the end-of-year exhibition this week. Students on the A level Fine Art, Graphics, Photography and BTREC Art & Design courses were recognised for their hard work, determination and talent in front of an audience of fellow students, staff, parents and other guests, including the Mayor of Solihull Councillor Flo Nash. Teachers on these courses picked out a selection of students who they believed deserved special recognition. In Fine Art, certificates went to Charlotte Jenkins, Chloe Wright, Kathleen Lodge, Rafidul Haque, Umar Ahmad and Klaivert Lami. The Graphics awards were given to Charlotte Wilby, Poppy Goddard and Ian Lau. In Photography, the top students were recognised as Nina Purewal, Millie Spooner and Megan Smallwood. Meanwhile, prizes for BTEC Art & Design went to Mary Davidson, Ellie Trifonos and Amber Bradley. An overall prize was also given at the recent Awards Evening and these prizes went to Premleen Seera (Fine Art), Emily Climer (Graphics), Tia Henry (Photography) and Patsy Ellis (BTEC Art & Design).